A guide to hand technique. 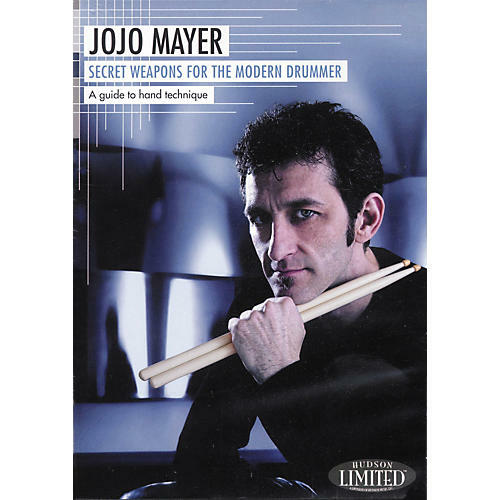 One of the most comprehensive and detailed volumes on hand technique ever produced, Jojo Mayer's Secret Weapons for the Modern Drummer is recommended for drummers of every age, style, and skill level. This double-DVD, 3-hour set covers a wide range of information on drumming technique, from the most fundamental to the most advanced. Yet, Secret Weapons is more than just the ultimate instructional method and reference guide: it also showcases the inspiring artistry, musical philosophy, and groundbreaking technical abilities of one of today's most progressive performers and educators.